Children love kids party entertainers. Children party entertainers are fun and they definitely know how to put smile on kids faces. From facepainting to balloons twisting and playing games, all the kids activities included in the kids party packages we offer, will make your party memorable. Children entertainers are trained to entertain children at their birthday parties Hiring a children entertainer at your birthday party, event or family fun day ,means your guests (children parents) can spend more time enjoying your kids party when their children are being entertained by our kids entertainers. Children love facepainting and parents are usually amazed on how their children stay still while being facepainted and love what has been painted either on their faces or on their hands or arms. Our kids entertainers will also make balloon animals for every child and kids love our balloon swords, dogs, butterflies and flowers. Playing games is one of the most interesting kids party activity at the party. One of the most popular kids party game is pass the parcel where every child at the party gets a prize. Kids also like games with running and jumping so we always ensure games like duck duck goose, tug or war or musical statues are part of our kids party packages. When having kids party entertainers at your party, you can spend more time with your guests Kids parties can be quite stressful as you need to organise the venue, food (catering) and also ensure the guests at your party are having fun. Our kids party entertainers can entertain the children present at the party so you can spend more time with your guests. If you are organising a themed birthday party, our kids party entertainers can come dressed in the costume of your son`s or daughter`s favourite princess or superhero which can be a memorable experience for your child. We can also play the music of his/her favourite movie such as Frozen and our Elsa can sing with the children the popular songs from the movie. Our parties can be educative as well. If your child likes soccer, we can organise a soccer party for your child and his friends so we can teach them how to train soccer and then we can play a real soccer game with a real soccer ball. A great experience for every child especially for those ones who like Messi or Ronaldo and want to become starts like them. 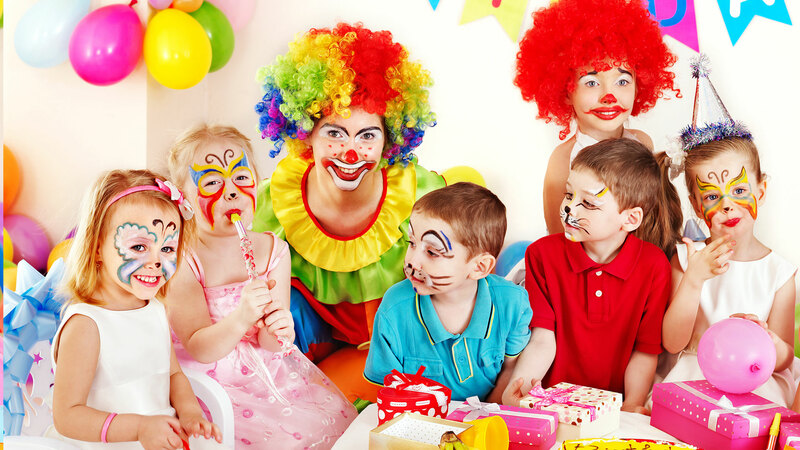 The benefits of hiring kids party entertainers is enormous and the party will stay in the child`s memory forever.Make your child`s birthday party special and book one of our kids party entertainers who will definitely bring happiness and joy for everyone present at the kids birthday party. © 2018 Bounceandparty. . All Rights Reserved.